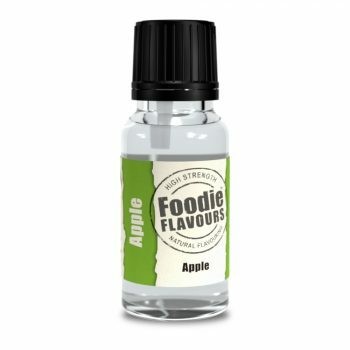 A sweet bramley Apple essence type natural flavour – try it for sauces, sorbets and more. Ingredients: Natural flavouring substances , propylene glycol (E1520). 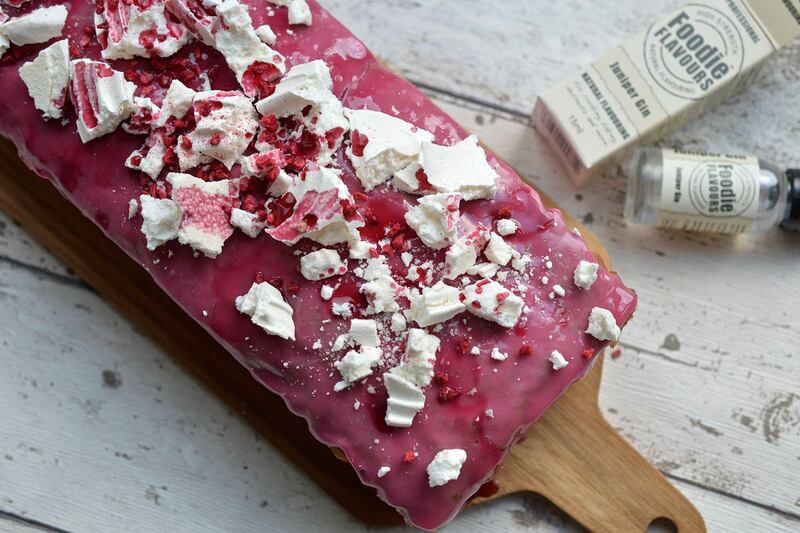 Our Apple essence is crafted from natural plant substances only and is great for flavouring icings or cake sponge as well as general baking, desserts and more. 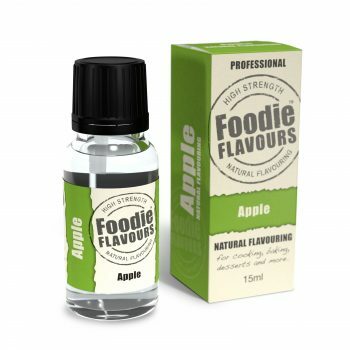 Only a few drops are needed as this is a high strength professional essence and a popular flavour in the Foodie Flavours™ range. The bottle includes a handy built-in dropper so you can easily dispense measured drops of intense flavour into your favourite recipes. 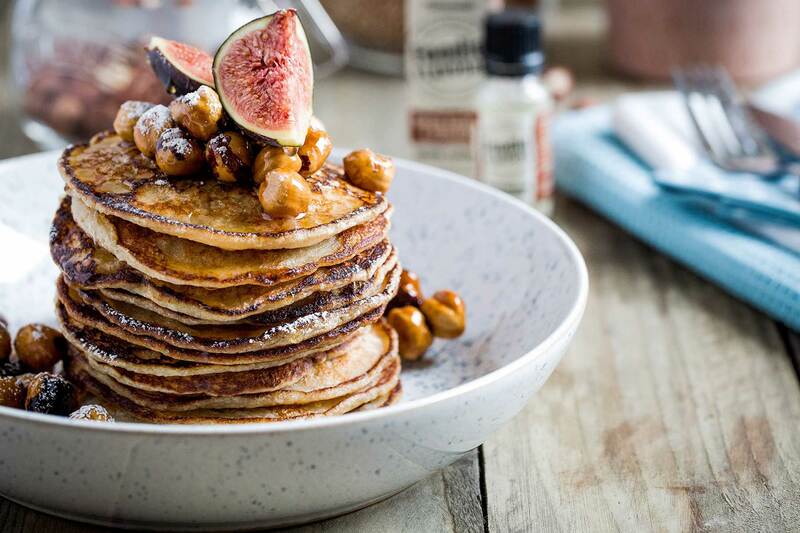 Apple is a flexible flavour ingredient for cooking, baking, desserts, drinks and more. Foodie Flavours’ Apple essence is a natural flavouring which is alcohol free and therefore halal suitable.